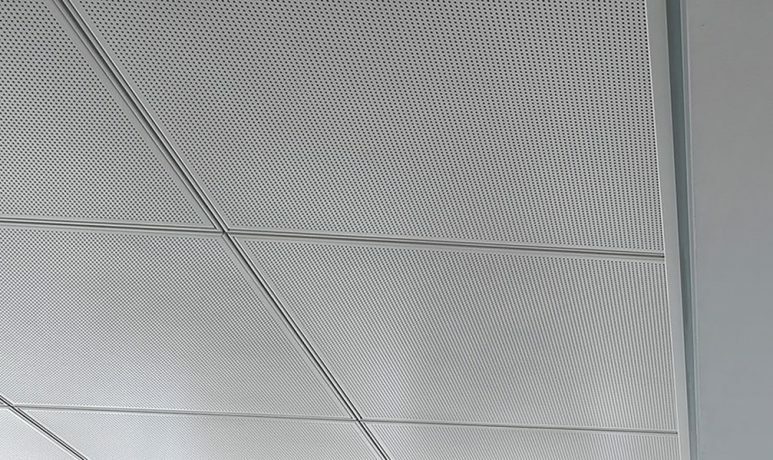 SAS130 offers either a flush (Alugrid) or tegular (Tee Grid) finish metal ceiling, depending on aesthetic preference. Lay-in tiles are quick to mount and dismount offering simple access to the ceiling void. 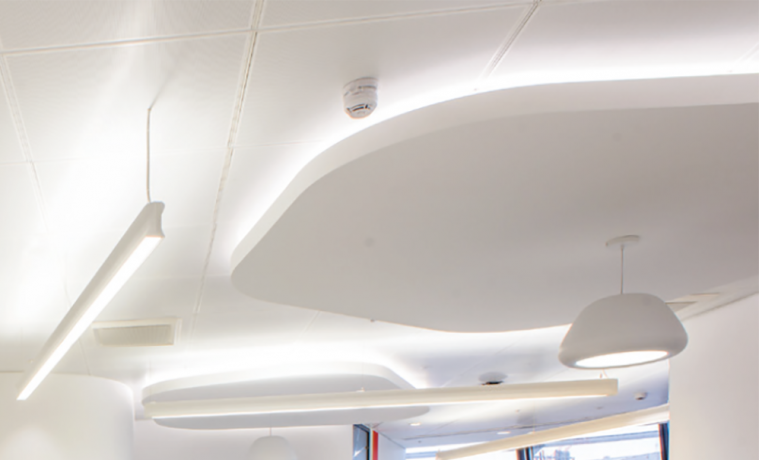 The suspended ceiling system integrates seamlessly with both partitioning and signage for hassle free installations. The system can also form an airtight seal (with Alugrid Cleanseal) for air management and moisture control applications. Typical applications of SAS130 include commercial offices, data centres and labs. 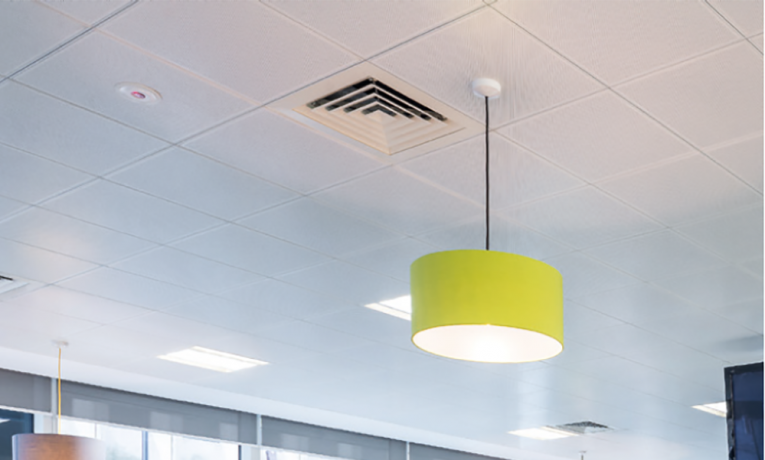 SAS130 is a suspended metal ceiling system with lay-in modular tiles and exposed grid. SAS130 is available in all standard SAS finishes and bespoke finishes are available on request. SAS130 tiles can be supplied with any standard SAS perforation pattern. 1522 is a popular pattern that is available as a stock item from the factory. 8/16/19mm deep, 80Kg density mineral wool pad with black tissue face, foil back and sides.